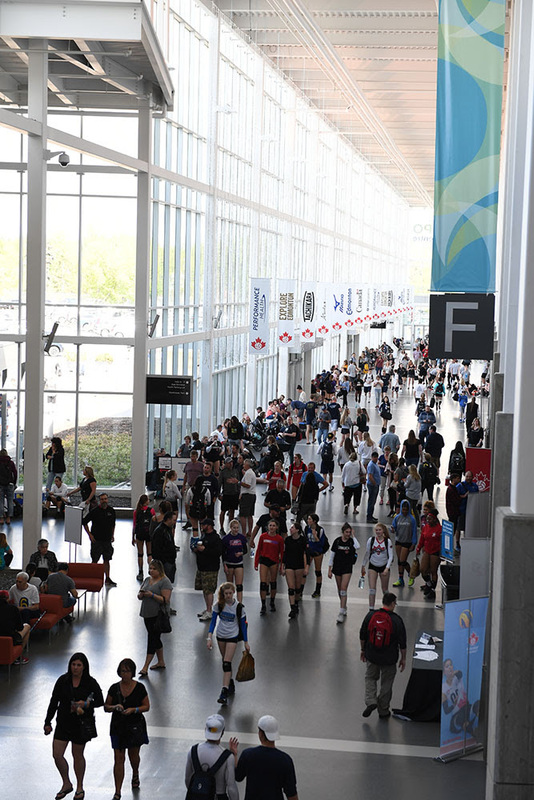 The largest Volleyball Canada Nationals,wrapped up yesterday at the Edmonton Expo Centre. The tournament exposed more than 10,000 athletes and 12,500 spectators to an amazing week of youth volleyball, as well as men’s and women’s National Team international matches, sitting volleyball demonstrations and matches against the U.S Para team. The event saw 3184 Nationals matches played on 56 courts. Local community organizations will also benefit from the event, with donations of balls and other equipment, and two new courts and equipment will be left for Volleyball Alberta. Helping to smoothly run the technical side of the competition was a team of nearly 300 national and local officials who were joined by 26 referees from the U.S.
On the international event side, Canada’s men’s team beat Mexico in two friendly matches, while the women’s team picked up a silver at the NORCECA Challenge Cup. The international matches were streamed on www.cbcsports, and for the first time, Youth Nationals 18U finals were also featured at CBC online while other courts were streamed via Volleyball Canada’s YouTube channel. In addition to the volleyball action, the vendor hall featured interactive displays and volleyball community support and education, including the Mizuno Blue Room, exclusively for coaches, and Volleyball Stuff Nationals’ merchandise and display area, and a lululemon store. Previous articleThe Rumours Aren’t True VI Raiders Aren’t going Anywhere ….Period !